As a homeowner, you need to understand the importance of keeping your basement dry, safe, and healthy. 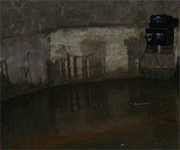 Basement waterproofing is a term used to describe the act of preventing water from getting into a home. 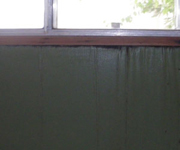 There are two types of waterproofing - interior and exterior. The type used in your home will be determined by our professionals after inspecting your home. Water is able to get into a home in a variety of ways, including over the top of the foundation, through wall or floor cracks, through the cove joint due to a rising water table, or through clogged floor drains. 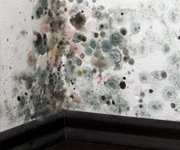 Regardless of how the moisture is able to get inside, it needs to be taken care of before it leads to serious structural damage in the home, or even problems for your family's health due to mold growth. Often times, when you a foundation is surrounded by a rising and falling water table, the pressure proves to be too much on the cove joint (the area where the floor meets the wall). The water eventually breaks the seal found here and makes its way into the basement causing a basement flood. This can be incredibly devastating for a home during a heavy rain when a lot of moisture seeps into the soil. Water always finds the path of least resistance, and this may be through the cove joint. Then you are left with a flooded basement, and stained walls and floors. 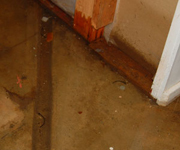 Water can also flood a basement if you have a clogged floor drain. This "waterproofing" device used to be one of the only things installed under a home to take care of seepage. Any moisture that got inside was supposed to drain out through the floor and into the soil. However, over the years, these drains have proven to be problematic and they can get clogged very easily. This results in water back-ups into the basement. A wet basement is a problem that must be taken care of quickly before the moisture starts to cause damage to wooden support beams and floor joists. When this happens, it can cause a lot of issues for the structural integrity of a home. This is not something any homeowner wants to hear since this can lower a property's value or even make the home uninhabitable. All of this moisture under a home can also contribute to the growth of harmful mold and mildew which could make your family sick. 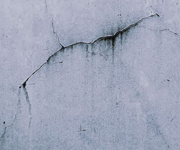 Wall cracks can be caused from the natural shrinking and curing process of concrete. However, a crack in the wall could also be a warning sign of a more serious structural issue in the home. Our professional crew can evaluate the problem, take care of any damage that has already been done, handle the cause of the issue, and make sure that water is never able to get inside through this area in the wall. We make use of an epoxy injection technique which will fill the crack from the dirt to the surface of the wall, sealing it off so that seepage can't get inside. It's only a matter of time before basement mold starts growing under your home if moisture is present. This is a fungus that is dark green or black in color. It can make your home smell musty, and it grows on organic materials. Research has shown that it is responsible for causing a variety of health problems in individuals of all ages, including: asthma attacks, respiratory problems, sneezing, coughing, fatigue, headaches, skin rashes, allergies, and more. Basement windows with clogged well drains will eventually start to leak when water builds up and breaks through the seal on the frame. When this happens, you may notice that you have water trickling down the walls and leaving stains, or you may notice that there is water pooling up on the floor under the window leak.